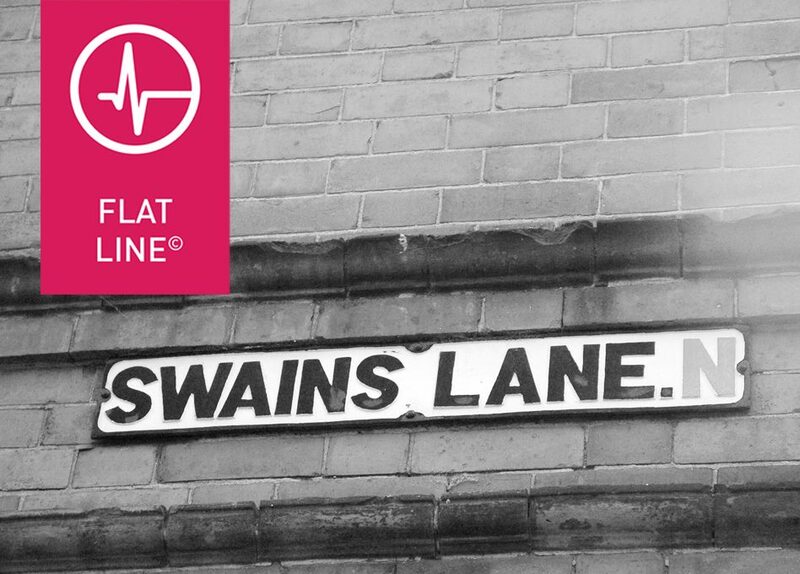 The FlatLine 10 is a race/ training event organised by EnergyLabBTS. 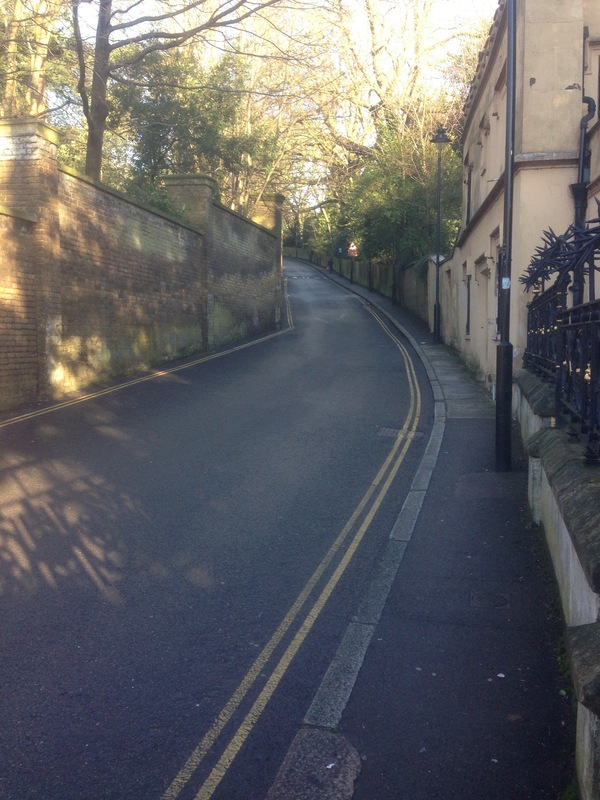 It involves 10 suicidal laps of a one mile course up and down the steepest hill in London- Swains Lane. This beast of a course will tame even the most talented runner, but the sense of achievement on finishing is incredible. The hill is well-known to cyclists but it is unusual for runners to make more than one ascent during a run. For those who understand the technical aspects, the maximum gradient is 18%, height gain is 63 metres and the distance we climbed during Saturday’s race was a third that of Mont Ventoux, one of the most gruelling climbs in the Tour de France. Doing this on bike would be difficult but running it is either heroic or foolhardy. As my alarm woke me early on race day, I had serious doubts about doing the run. I felt tired. It had been a stressful week, so I hadn’t been sleeping well. My quads felt tight after changing up my training plan, and I was tempted to crawl back under the duvet. I’d publicly committed to going, though, so I dragged myself out of bed and got ready. As I headed to the top of Swains Lane on public transport, the day dawned crisp and bright. By now I felt glad to be alive and knew I’d made the right decision to race. I bumped into my friend Felix as we headed up the hill, and we noticed how our heart-rates quickened just from walking up. Barbara from EnergyLab gave out our race numbers and we did our best to keep warm while the other runners arrived. This was a small event, with a maximum entry of 30. The road was open during the race so we had to be mindful of traffic and pedestrians. I was surprised to learn that Richard Keller, who had won the previous event, would not be running. I’d raced in that August edition, and Richard had set the tempo. There were other fast runners, but none of us had really considered this a race until it was declared one on the Facebook Event page. Still, we all knew we would be pushing each other when the first descent began and the adrenaline kicked in. First and foremost, though, this event is about the sense of achievement you get from completing it. The camaraderie on this course is amazing. You run so many loops that you’re always making eye-contact with the other runners, and everyone is going through the same pain as you. We all support each other, and that helps get us through. Running is not about being better than someone else, it’s about being the best you can be and that includes helping others. As the race began, I settled in behind Manni and Felix, who went out hard on the first downhill- our pace was just over 5 minutes per mile on the descent, but it would be much slower on the way up. This race is notoriously difficult to pace because you are always climbing or descending but you can build up a head of steam on the descents, particularly in the middle where the drop is steepest. My strategy was to go as quickly as I could downhill each lap, and then climb steadily, taking smaller strides but maintaining a quick cadence on the up-hills. I told myself there would be no walking, no matter what. As we passed Karl Marx’s tomb and reached the cone at the bottom of the hill, I was third. We began to climb, and my small steps took me into second place towards the crest of the hill. As we began the second descent, I swept past the leader, and suddenly, for the first time in my life, I was at the front in a race. I was very surprised, but beyond a fleeting thought about what it would be like to run without someone pacing me, I didn’t have time to think about it. I concentrated on accelerating as quickly as I could through the descent, making sure I kept my footing over the speed bumps. I felt certain the runners behind me were on my shoulder, so as I began the next climb I was stunned to see I had built a gap between myself and second place. I knew my climbing skills were pretty good, so for the first time in a race ever, I dared to dream about winning. The next few miles were a blur. Nods and cheers of encouragement from me to others and from them to me. Claudia yelling that I had a big lead. Concentrating on breathing, form, counting, looking at the top of the hill each time I had to climb. Trying to shake out the limbs and land on the forefoot each time I descended. Throwing my gloves and running hat on the ground at the top of the fourth mile. And the growing realisation that victory was possible. With that came nagging doubts. What if we had gone out too fast on that first mile? What if my body just refused to keep going? The only way was down, and to lose from this position would be hard to take. But this race is so challenging I couldn’t think those thoughts for long. I could feel my muscles working hard on the ascents, while the down-hills were equally demanding. Your body is constantly under assault. And that’s what makes this race so special. It’s comparable to completing a marathon. You cannot stay in your comfort zone when running the FlatLine 10. Because of that I salute everyone who takes it on. As I hit the penultimate lap I had built up a lead of about half a mile. 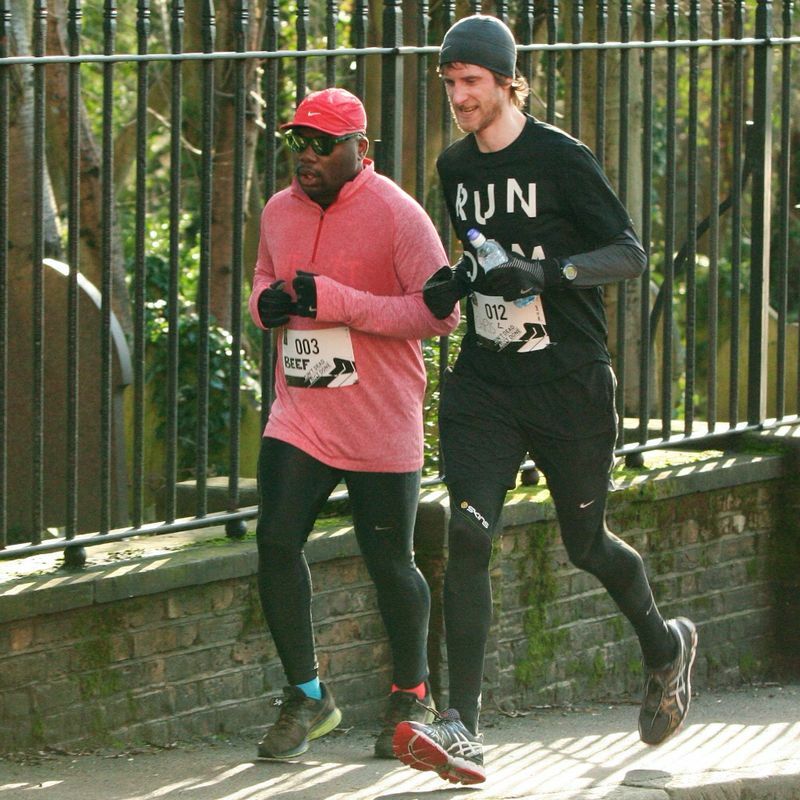 I called out to Richard, who was taking photographs, asking him to pace me on the final lap. The temptation to stop running and walk up the hill was getting very strong, and I knew Richard wouldn’t let me give in. He pushed me hard on the final descent, talking all the while about good form, encouraging me to beat his course record. I knew that was beyond me. 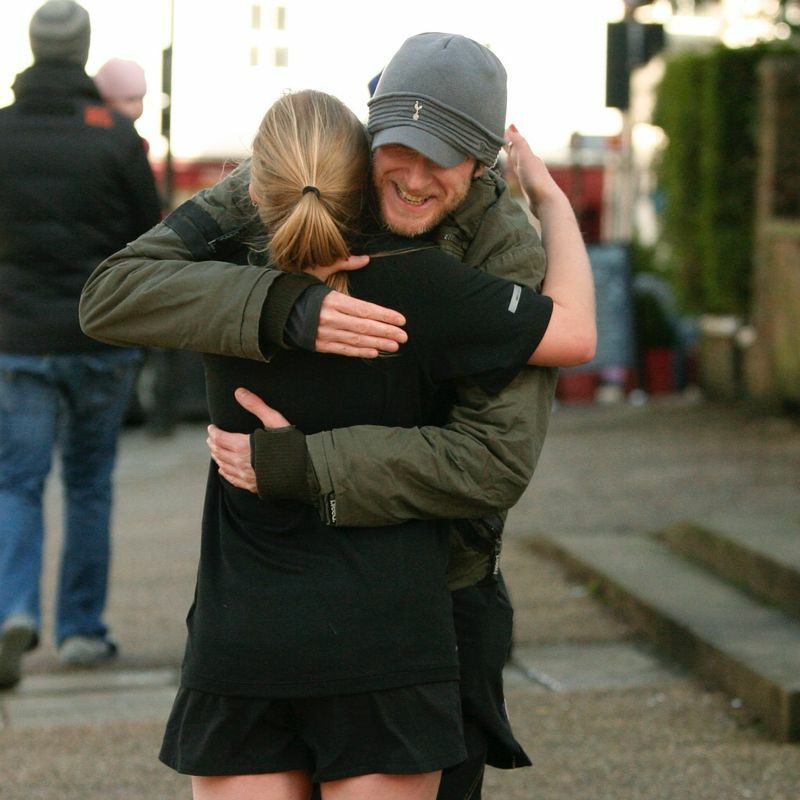 My body was crying out and I just wanted to get over the finish line, but I’m grateful for his support. As we made the final ascent, he urged me to sprint, but my body wasn’t having any of it. At last, we reached the top and for the first time in my life I learnt what it feels like to win something. There was pain, sure, but there was a huge sense of happiness, no little pride and a new-found inner confidence. As I stretched out, I couldn’t help beaming. I thought about the injury I’d sustained in September, which had set my training back three months. I’d trained through December to catch up, preparing for the Berlin Half Marathon, but my body hadn’t been able to do what the training plans were asking. Then I hit January, and pow!- it just clicked back into shape. 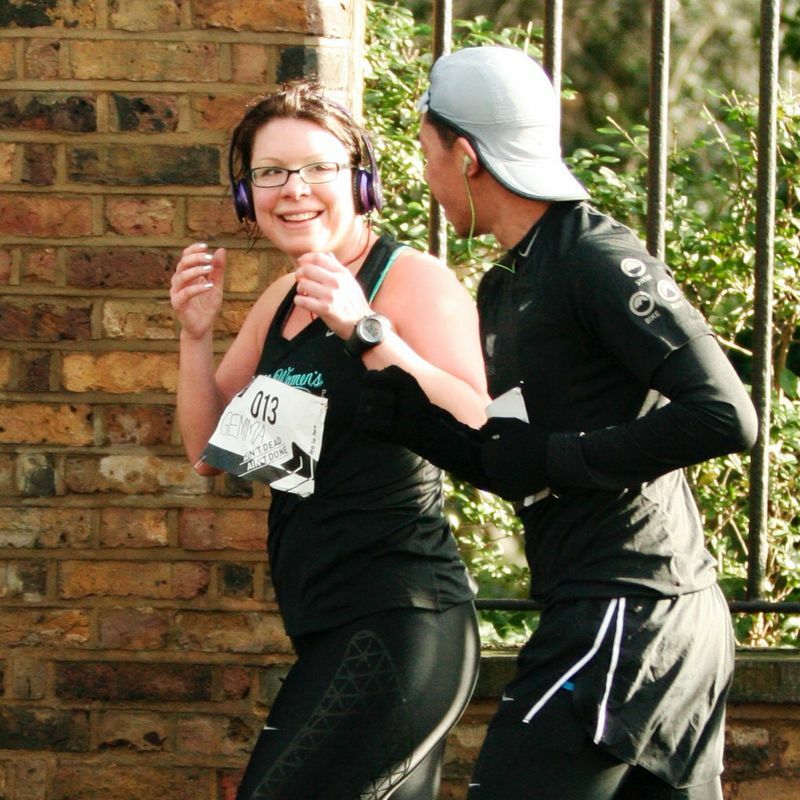 I felt a deep sense of satisfaction that when I’d been putting those miles in, I’d been laying the platform for the feelings I was having at the top of Swains Lane. Consistency of approach is what reaps rewards in running. I hope I can apply this lesson in other areas of my life, too. Steve Layton was the next person over the finish line, meaning Spurs fans finished first and second. Sorrell was the Queen of the Hill, being first woman home. Over the next 45 minutes the rest of the runners completed their race. Everyone finished. There are so many inspirational and incredible stories. Chris Cannon was doing his first proper run of the year. Azra Zakir had spent large portions of 2013 unable to run due to ITB pain. Melissa has grown so strong since having a major health scare a few years ago. One runner tried to end her race at the top of the hill with three miles to go. 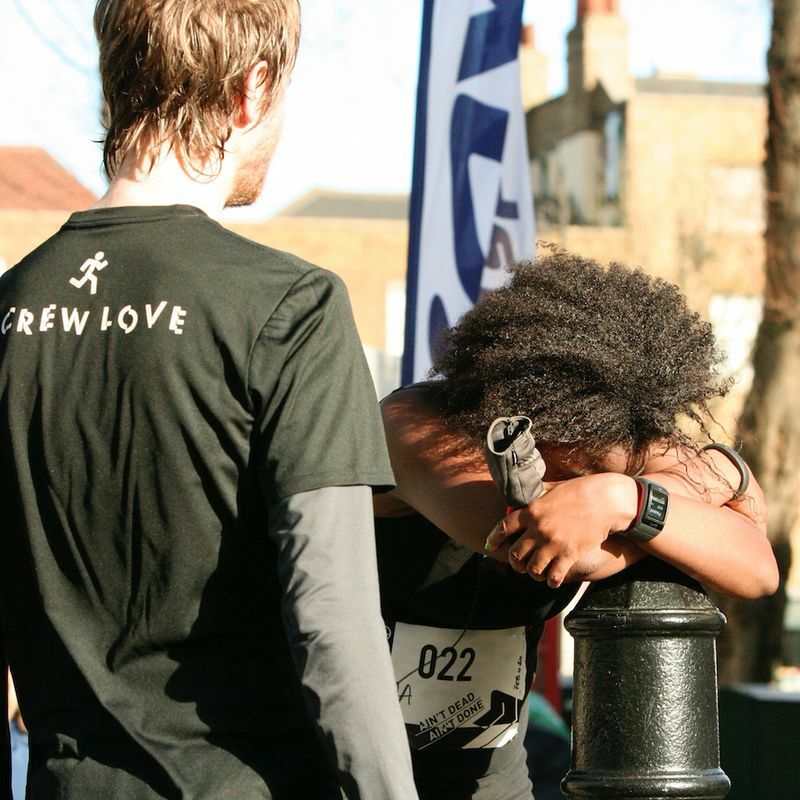 Others gathered round, supported her and gave her the self-belief to finish, which she did in style. Best of all, Claudia had baked cake for all of the finishers, and as we nursed our aches and pains, we made light work of eating it. 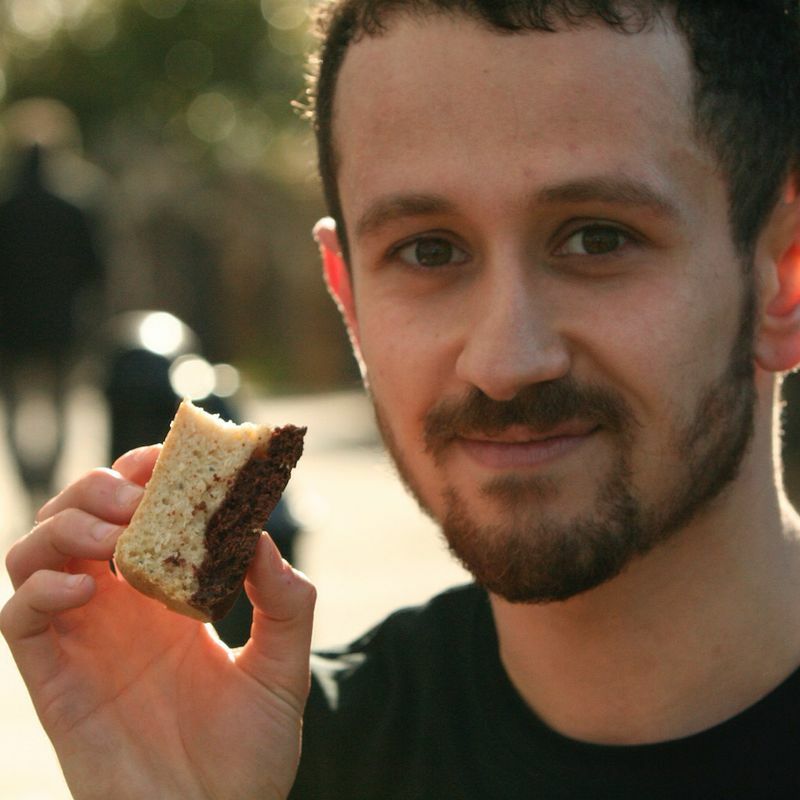 FlatLine 10 is a superb event, in spite of the severe DOMS I’m experiencing as I write this. Full credit to Barbara and Claudia from EnergyLabBTS for their organisation, and to Richard for the photographs and slideshow. It’s the camaraderie that makes it special. Perhaps it will grow and become a sanctioned race. In the meantime, I urge you to come out of your comfort zone and test yourself next time it’s on. 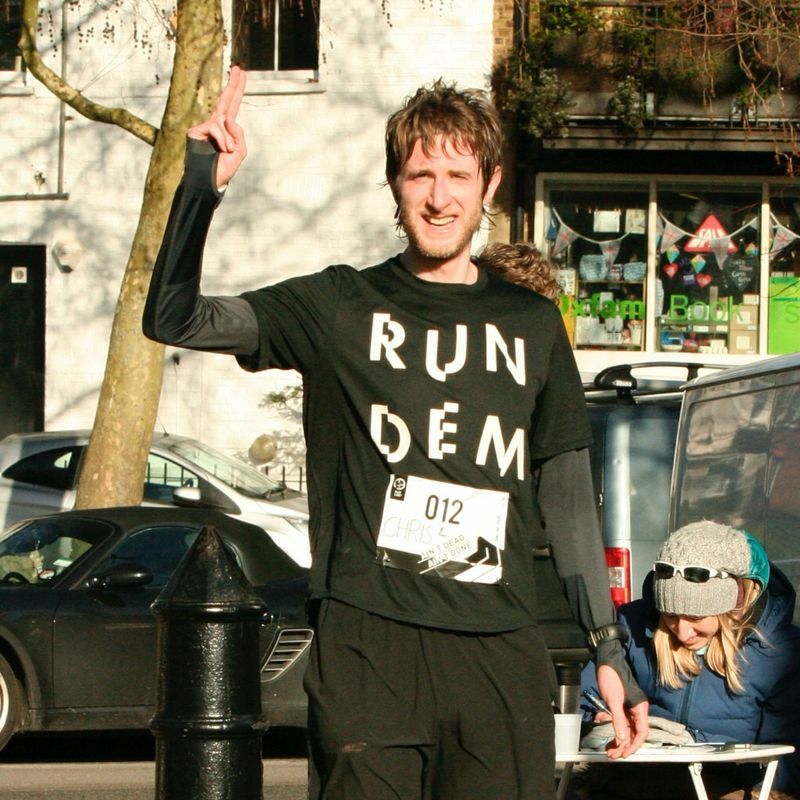 The Run Dem Crew mantra is “Go Hard Or Go Home”. You’ll have to go a long way to find a harder or more satisfying run than this one. Thanks for checking in, man. I’m actually planning to do a triathlon in 2015. This year I have other goals. It would be great to have you. Is another planned anytime soon? There’s one rumoured to be happening mid-March, so will let you know. Hey, the date for the next one has been announced. 8th March. 9.15am registration. 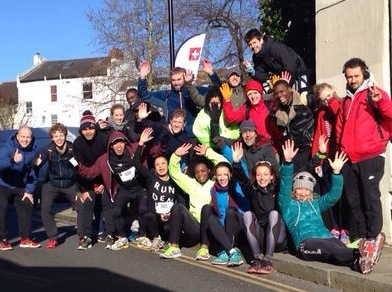 10 am race start from the top of Swains Lane. I won’t be able to race this one, but I hope you will. Waa I’m definitely in next time!